When AirBnB began their journey they recognised they had to overcome one significant hurdle: trust. How could they ensure - as far as possible - that hosts and guests would have the maximum reassurance that both parties would uphold their sides of the deal? They took a long hard look at TripAdvisor. How to emulate them, but go one better? Simple: don't just invite reviews, but make reviews mandatory - on both sides of the equation. Now, for every stay, there's a review by the guest and a review of the guest by the host. Am I getting all their guests' opinions? Was the stay value for money? Did anyone not enjoy their stay? And, if not, why not? Are the hosts painting the full picture? They know their guest is getting the full picture. They know the guest can rely on their fellow guests - completely. They know it gives their potential guest the confidence to go ahead and book. 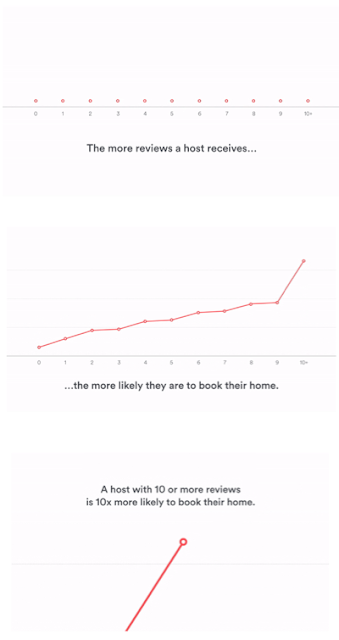 We have all heard the AirBnB horror stories. They are invariably as a result of one or both parties going off-piste and not communicating (or paying) through AirBnB. bear in mind that AirBnB list 1.5 million properties across 34,000 cities - it works! ...then you can sit back and watch the business roll in. N.B. At HelpHound we are proud that our review management system - Dialogue™ - only works for good businesses. If you think your business will attract a lot of negative reviews, then perhaps you need to address whatever failings might cause your customers to write them before you join. Dialogue does incorporate a great - and extremely effective - dispute resolution mechanism (called Resolution™); and our clients and their customers do make use of it. An average of 8% of all reviews go through Resolution - with over 97% of those resulting in a satisfactory outcome for both parties.